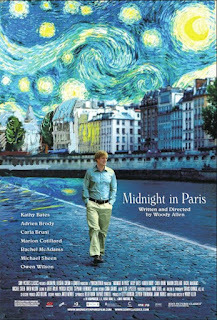 While watching Woody Allen's new movie, "Midnight in Paris", I was struck by how beautiful Paris looks on screen. She's a real star! 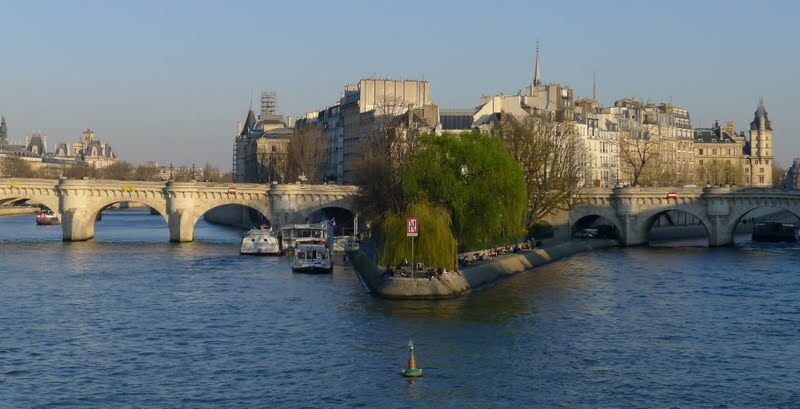 And without belittling her intellectual capacity, much of her allure is due to her physical beauty -- the Seine, the quaint streets, the lights twinkling on the rain splattered streets. So, imagine how different Paris would be if Napoleon III had hired someone other than Baron Haussmann to renovate Paris, someone like the Swiss born Le Corbusier, who thought that a house should be as efficient as a machine. I know that Le Corbusier lived in a different era than Napoleon, but like Gil Pender, the disillusioned screenwriter in Woody Allen's movie, I'm letting my imagination reshape the past. The "Art Nouveau Architecture in the 16th District" tour that I did with Paris Walks yesterday is responsible for these reflections. Admittedly, I don't know very much about architecture, but after seeing what Le Corbusier's influence did to the cityscapes of Switzerland, I prefer living in the more distant past than Le Corbusier's 1920s. Paris wouldn't be such an attractive star if the majority of her buildings resembled the ultra-modern house with lots of horizontal windows that le Corbusier designed at the Square du Docteur Blanche. Just a note about "Midnight in Paris", which has been aptly described as Woody Allen's love letter to Paris - I'm so glad that I waited to see it with my good friend, Heidi, who is visiting from Switzerland. We laughed, we nudged each other whenever a familiar site came onscreen, and we clapped with the rest of the audience at the end. Sure, it's light and frothy, but it was such a pleasure to walk out of the theatre and to marvel at the beauty of the city shortly before the magical hour of midnight. I'm usually unable to watch Woody Allen films, but maybe he's not in this one and I'll be okay, for I certainly love looking at Paris on screen. And in real life. Joseph, Don't worry - Woody Allen isn't in the film. If you love looking at Paris, there's a good chance that you'll enjoy the movie because there are lots of shots of places that you'll recognize. If you do see it, I would be interested to know your opinion because I'm a bit biased. what an awful thought -a Corbu Paris! I wish I had seen 'Midnight' with y'all. 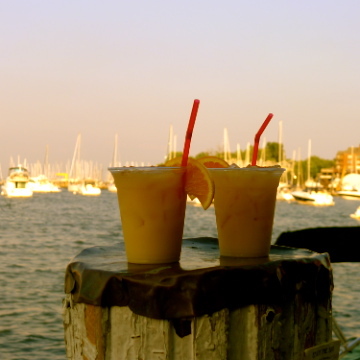 I sat next to someone who engaged me throughout in elbow wrestling on the armrest so I was NOT enthralled... I also minded all the empty scenes- ex. along the Seine etc. Those armrest duels can be quite funny - I was busy battling 2 (!!!) men the whole way across the Atlantic one time because I was seated in the middle and both men seemed to be sure that I didn't need an armrest. Plus, you could have helped me convince my Swiss friend, Heidi, about the evils of Corbu. 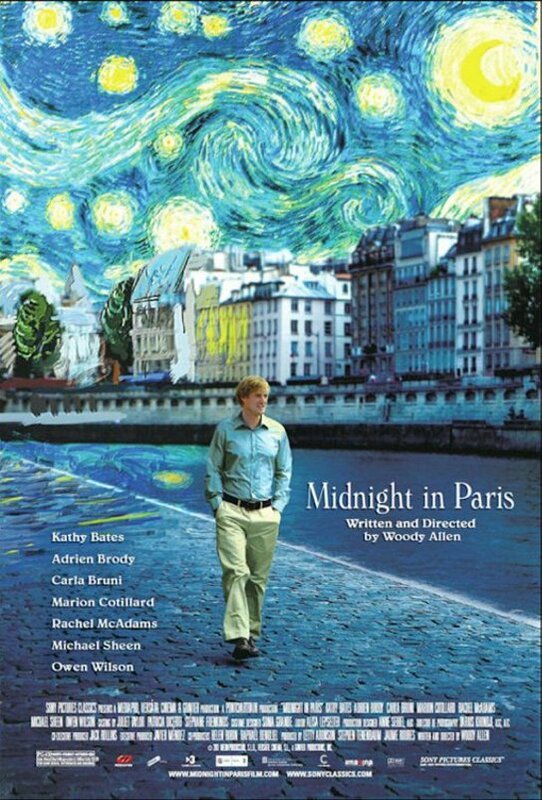 Since I've seen Midnight in Paris 3 times, I think that it was a brilliant move. You can watch it again after you return home from your Parisian vacation and remember all of the fun that you had. If you want to walk in Gil's footsteps, here's a guide with addresses for some of the places in the film.